Heaven on Seven for winning the Caterer of the Year award in The City of Kawartha Lakes! Our Promise of Great Service, Wholesome Food for You, Your Family & Friends!! "Catering That's Above The Rest"
With our Portable Smoker Nothing is too small or too big for Heaven on Seven to prepare and co`ordinate your Special Affair!! Serving Peterborough, Toronto Kawartha Lakes, Haliburton & Cobourg since 2006. 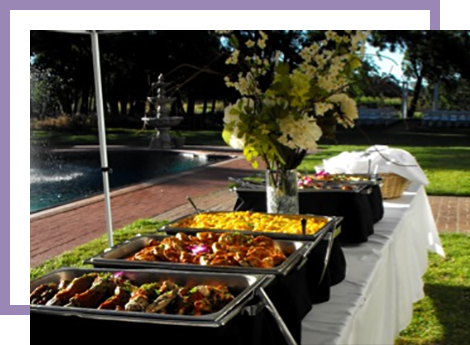 Our Mobile rotisserie smoke oven provides unique and mouth~watering offerings for your special day with a wide array of delectable entrees, specialty meats & vegetarian foods. We have served from 2 to 2,000 with honest crowd pleasing fare at fair prices. Heaven on Seven bbq. Since 2006, Heaven on Seven has been catering "great fare at fair prices!" the service attitude of our management team when working with our clients. The clientele from years past continue to sing our praises - and those “word of mouth” recommendations are pure gold in our business. 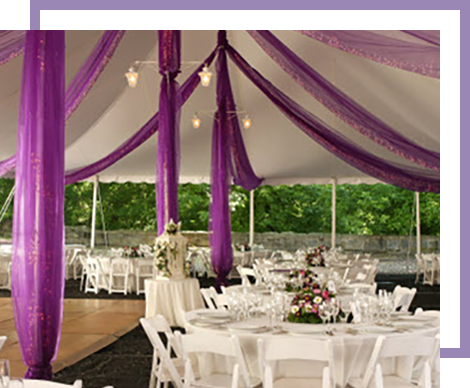 Heaven on Seven is proud to be an Award winning caterer that continues to make wedding parties and special events extra special. We aspire to great levels in our food and service. I have some very severe and complicated allergies that can put an end to a great day very quickly. As we were searching for a caterer we had to be confident that who we chose would be more then aware of the seriousness of my allergies. Having Andrea cater our Wedding not only provided me with the comfort that I could trust everything she prepared, the food was amazing. We still receive compliments on our Wedding Food. As an added bonus, Andrea is so pleasant and cheerful through the whole process. It was such a pleasure to work with her. You're really asking the wrong person to critique the offerings and services of Heaven on Seven because I would say you should change "absolutely nothing"!! You go out of your way to provide the best quality meals at an outstanding price and you definitely go out of your way for us. As always, the food for the latest luncheon was phenomenal and the feedback from the group was that they are the best lunches we ever have at our meetings. 2010 International Dragon Boat Race ~ 2,000 Breast Cancer Survivors! City of Kawartha Lakes "Volunteer Appreciation Gala"